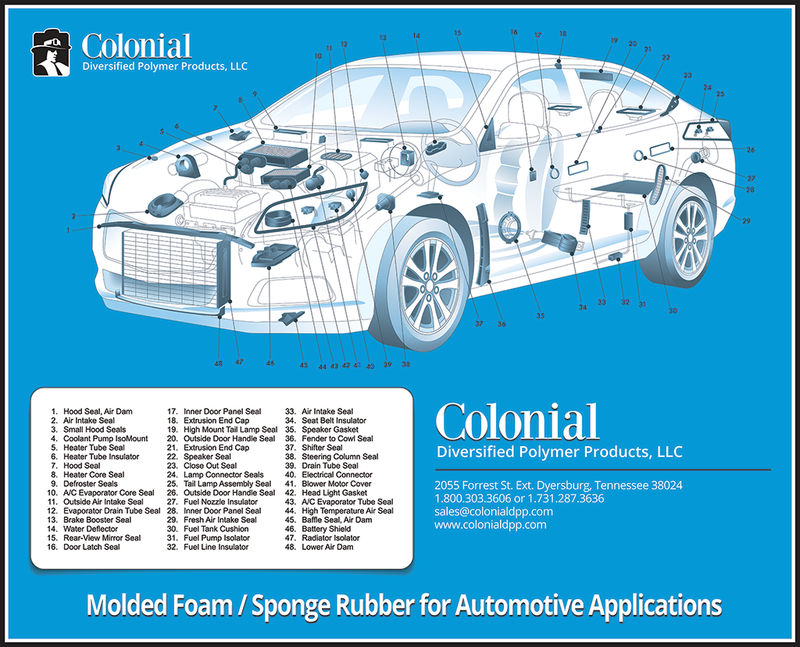 Colonial DPP manufactures a variety of hollow and solid extrusions out of cellular, foam, sponge rubber and dense rubber materials. 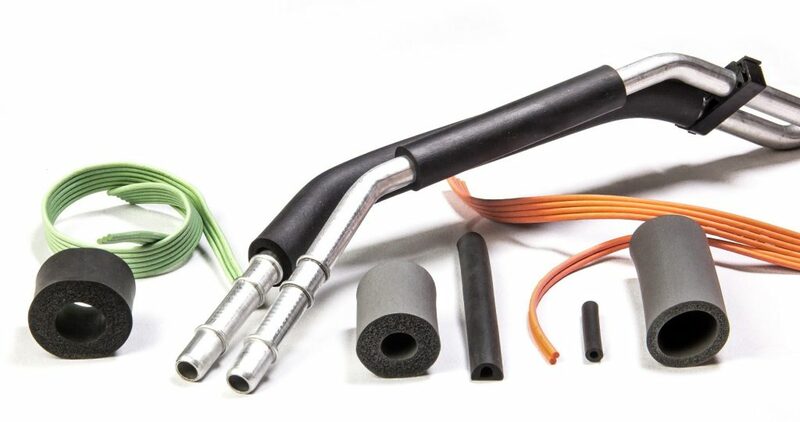 Foam rubber sleeves for liquid lines and rope seals for tongue and groove joints are just two areas of expertise. Extrusions are provided cut to length or in roll stock, with or without adhesive backing. Endcaps or other shapes can be molded to the extrusions. We cut, splice and fabricate extrusions into production parts as well. Our extensive lab and formulating capabilities enable Colonial to design and compound materials to meet a vast range of physical properties including resistance to chemicals, weather and temperature. Materials include but are not limited to: EPDM dense; EPDM cellular/foam/sponge; PVC Nitrile foam and Neoprene.